cotton confetti: Too late to blog? Its half past 12 and I need some sleep - but first I had to finish my lion quilt. What? 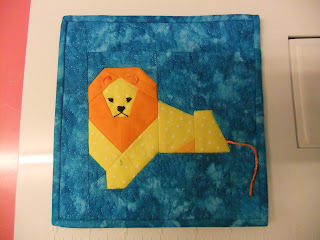 you may ask, do I want a 6 inch lion quilt for at this time of night? ALL will be revealed tomorrow! Well later today, actually.